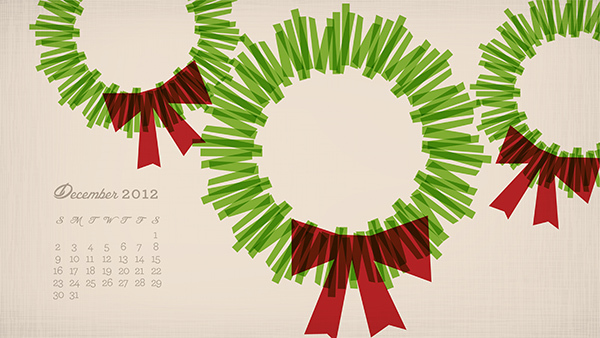 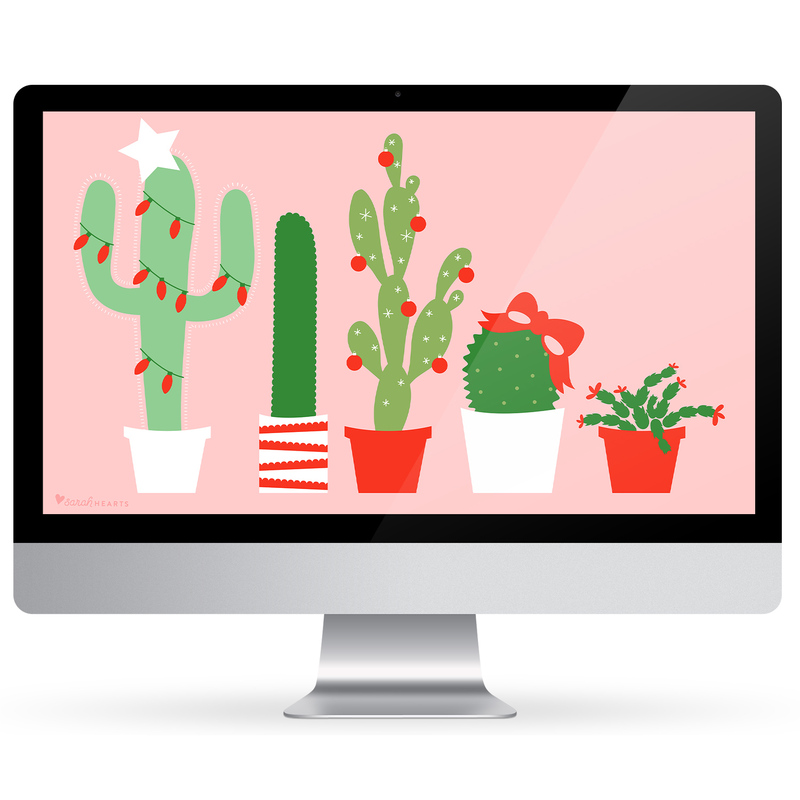 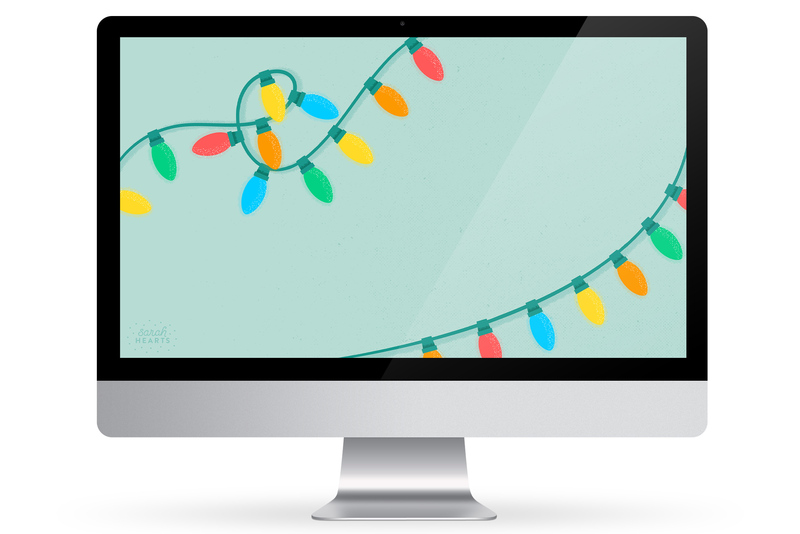 Deck the halls and your desktop! 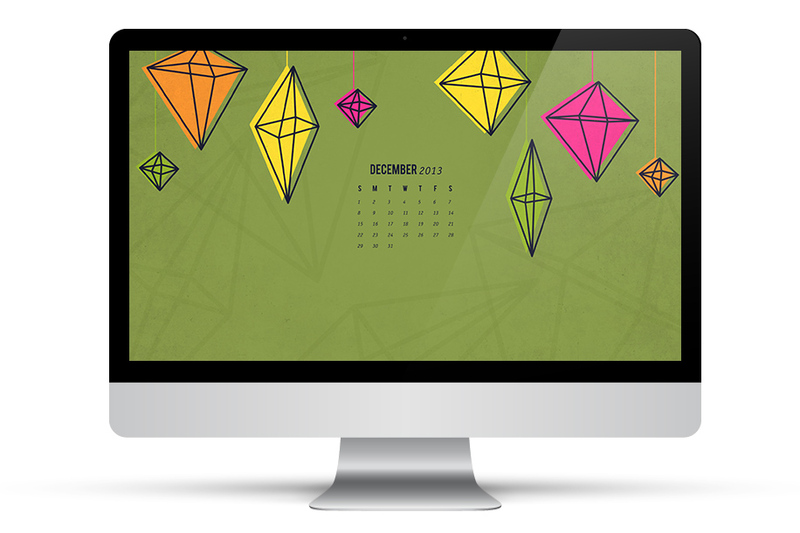 The last monthly wallpaper of the year is now available! 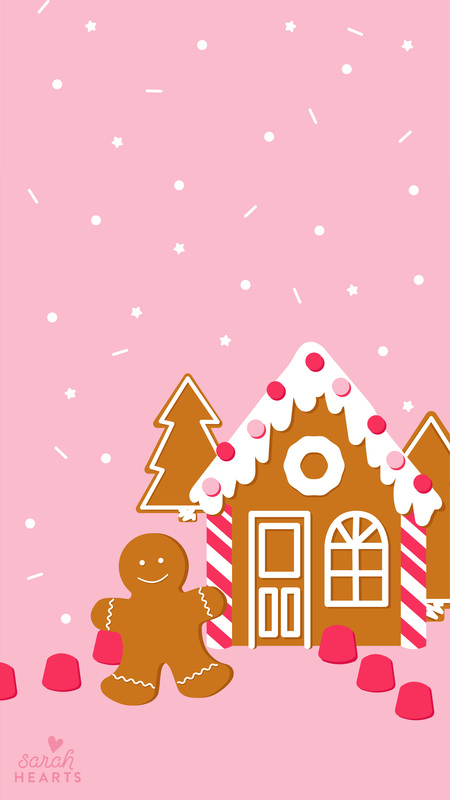 After baking dozens of gingerbread cookies for an upcoming project earlier this week, I’ve had gingerbread on my mind. 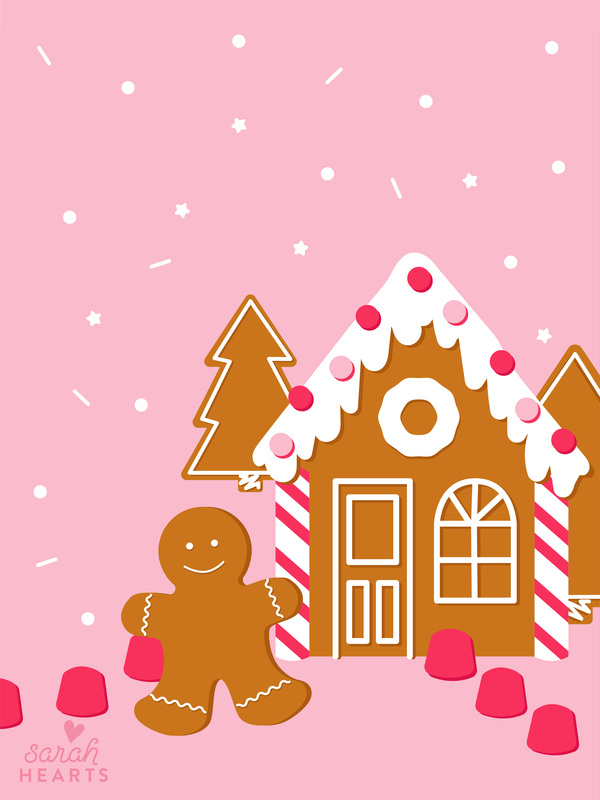 Then when I saw it was the most liked wallpaper suggestion the Sarah Hearts Facebook page, I knew I had to illustrate it. 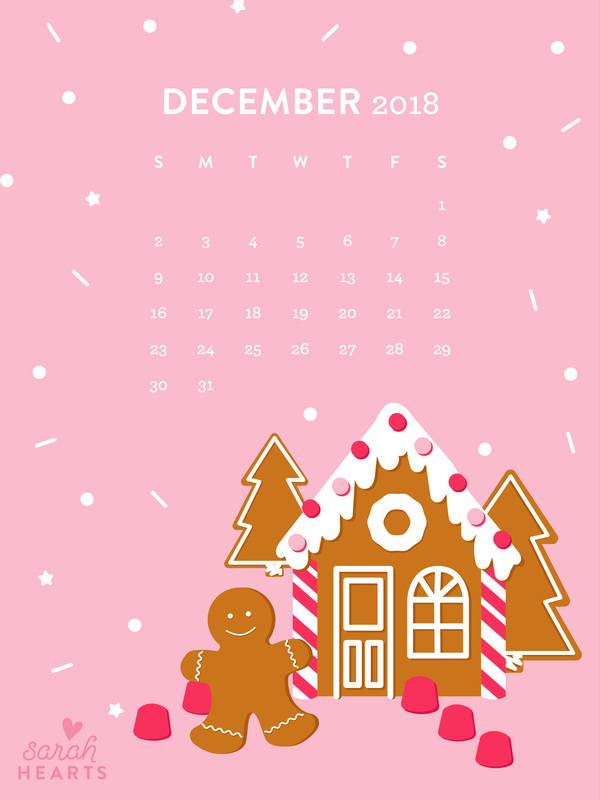 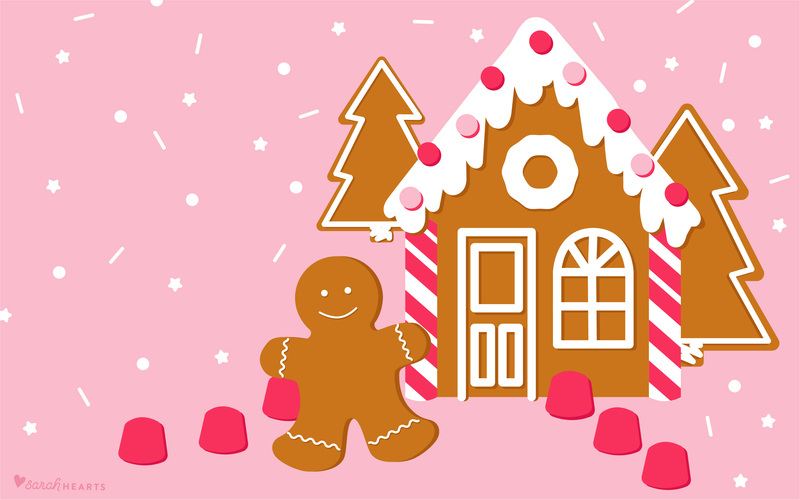 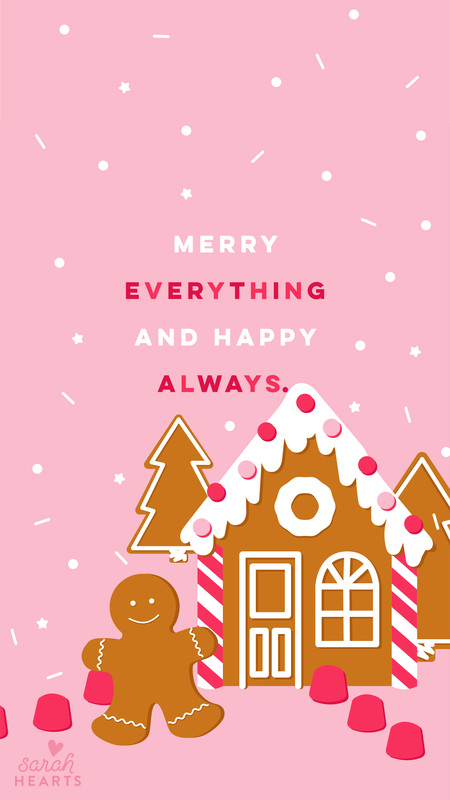 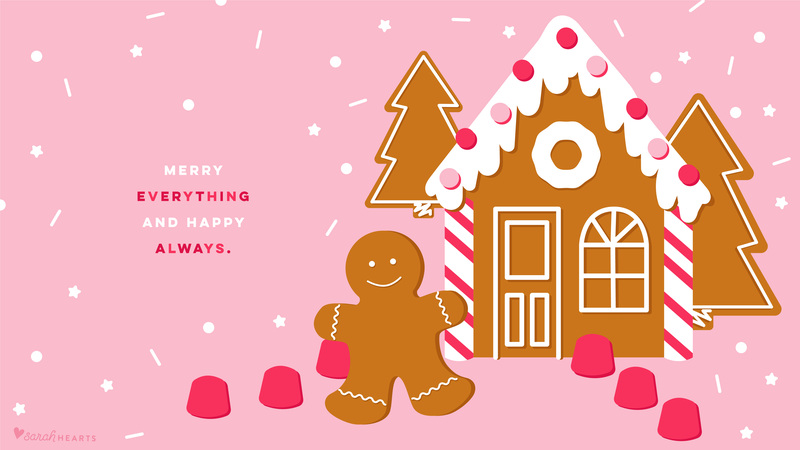 Enjoy this sweet paper on your computer, phone and tablet and have yourself a merry everything! 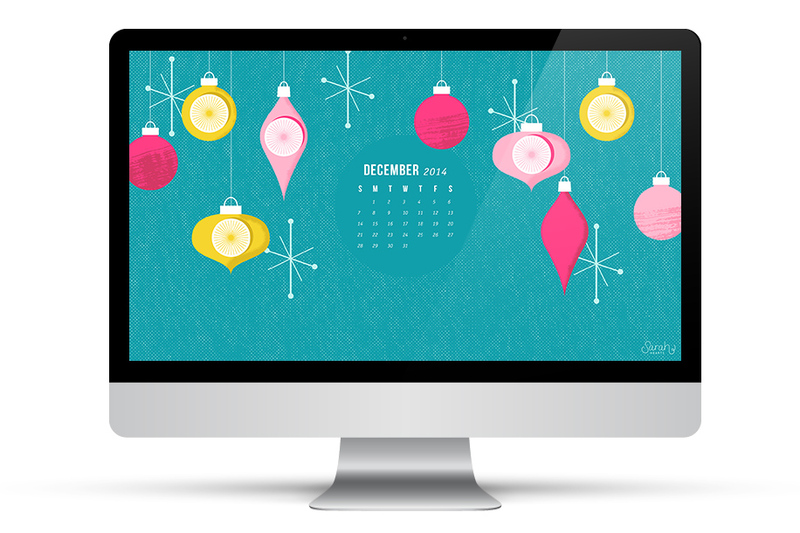 If you love this month’s wallpaper, share the design #sarahheartswallpaper. 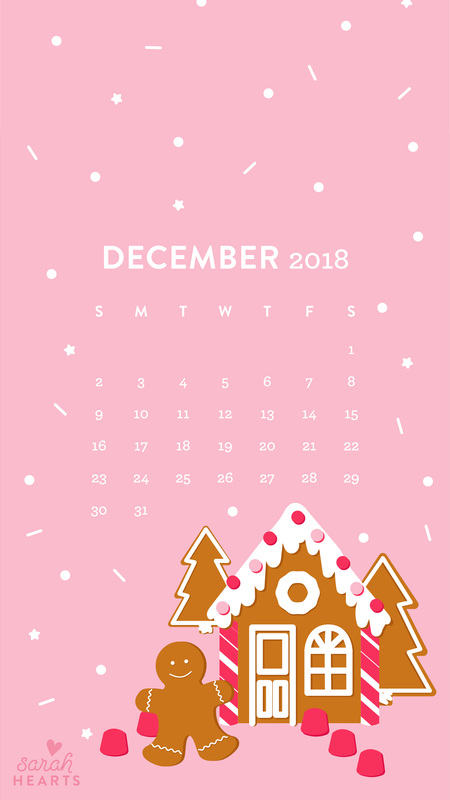 I just found your BEAUTIFUL wallpapers and I absolutely LOVE them for my work/school computer. 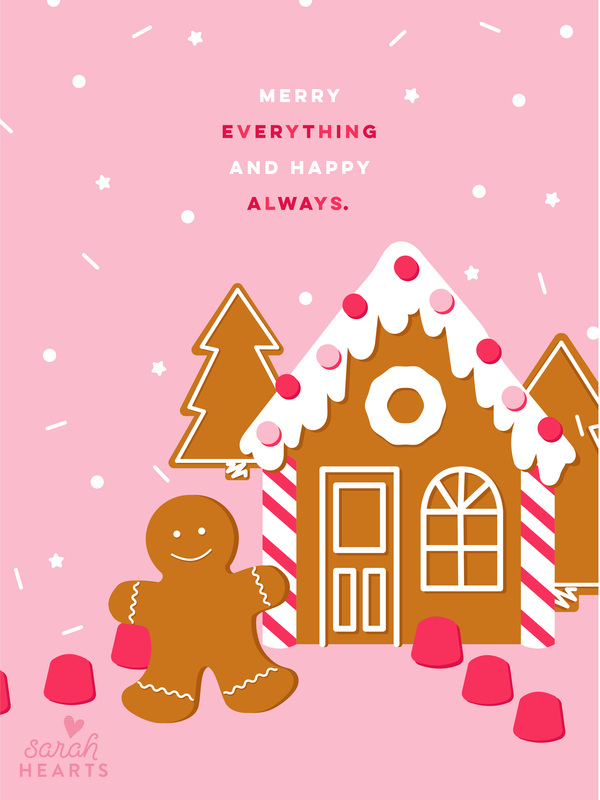 Such cute designs and I think they’re perfect for a primary/elementary school setting.